Separation and divorce will change family lifestyles in a variety of ways, most profoundly in the amount of time spent with children. With the high rate of divorce, it is common for children to live apart from at least one parent, sometimes far away. Virtual parenting offers a partial solution to the problem of long-distance parenting. Published by the American Bar Association “When You Can’t Be There in Person” explores how modern technology helps families stay connected through e-mail, texting, phone calls and video conferencing. Virtual parenting requires parents to work together to establish the means and mode of contact. The family law attorneys at Raffaele Puppio in Media, Delaware County, are well-versed in helping families with all facets of family lifestyles and child custody. If these are issues you are facing, we are available to help. 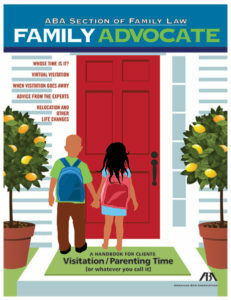 Family Advocate, Vol. 38, No. 1, (Summer 2015) p. 19-21 ©2015 by the American Bar Association. Reproduced with permission. All rights reserved.